The fallout of Skydance Animation hiring of John Lasseter continues. 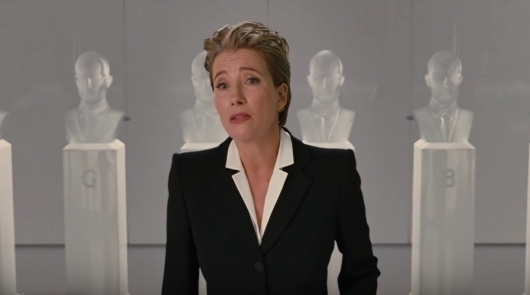 Last week, Emma Thompson left her role in Alessandro Carloni‘s animated feature Luck. Although she didn’t give a specific reason as to why she was leaving at the time, many suspected that it had to do with her working with a company who knowingly hired someone like Lasseter, who had been exiled from Disney and Pixar after allegations of him engaging in sexual misconduct surfaced. It would only be a few months after when Skydance Animation announced they had hired the disgraced former animation head. And it would be a decision that many, especially those inside the company, were very unhappy with. Now Thompson is explaining why she exited the project, in a newly released letter that criticizes Skydance’s decision and the failed attempts to justify the hiring. More on the report and the full letter below. And from there, she lets everyone know what lines of questions studios should be asking themselves before they bring in someone with a stigma like Lasseter.